South Korea’s ambassador to UNESCO elected chairman of the Executive Board, defeating Iranian Ambassador. 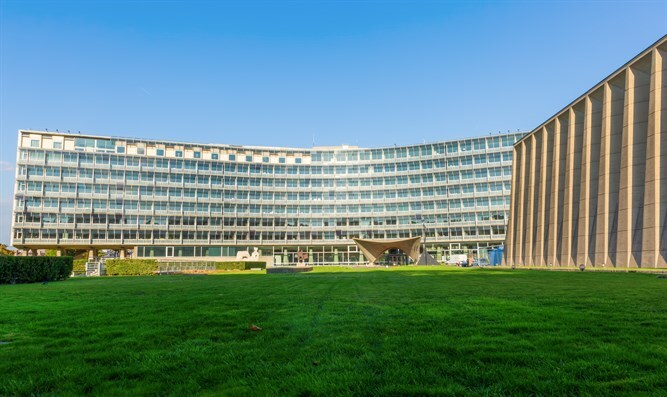 South Korea’s ambassador to UNESCO, Lee Byoung-hyun, was elected on Thursday as chairman of the Executive Board, defeating Iranian Ambassador Ahmad Jalali. Lee won the ballot of the 57-member Executive Board by 32 votes against 25 for Jalali, reported Algemeiner. These efforts “took place mainly behind the scenes and today had an impressive success,” said Shama-Hacohen. Just last week, UNESCO member states overwhelmingly approved the nomination of France's former culture minister Audrey Azoulay to head the UN cultural agency. Azoulay is Jewish and served as culture minister under former president Francois Hollande. She succeeds Irina Bokova, who was UNESCO's first woman director and whose second term expires this month. Azoulay's defeated Qatari diplomat Hamad bin Abdulaziz al-Kawari, who many thought was the leading contender for the post. UNESCO is notorious for its anti-Israel bias, and it infuriated Israel and the United States by granting full membership to “Palestine” in 2011. In addition, the agency has passed a series of anti-Israel resolutions, including ones declaring the Old City of Hevron to be an “endangered Palestinian heritage site”, as well as resolutions which bluntly ignore the Jewish connection to the city of Jerusalem.